The New York City Economic Development Corporation (NYCEDC) is looking for developers eager to turn an abandoned juvenile detention center in the Bronx into the city's "next creative live/work community." 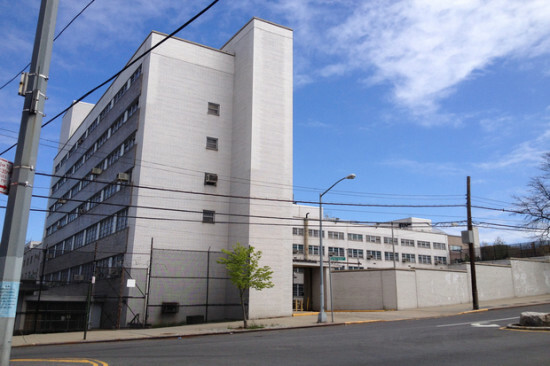 The Spofford Juvenile Detention Center has been closed since 2011, and as DNAinfo reported, it had a notorious reputation for "verbally and physically abusive staff members and poor living conditions, which included serving kids food that was infested with roaches and giving them clothes and underwear that had already been used, according to a 2004 report from the Correctional Association of New York." In a press release accompanying its Request for Expressions of Interest for the site, the NYCEDC said, "respondents are encouraged to consider a wide range of residential and non-residential uses for the site, including commercial, cultural, institutional and light manufacturing." The city also wants developers to put an emphasis on bringing "high-quality, career-oriented jobs" to the Hunts Point community. 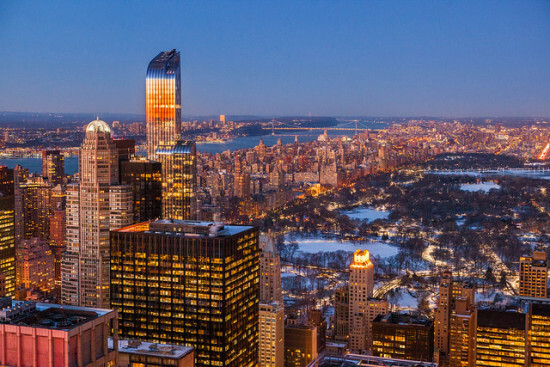 The affordable housing included within the complex would count toward Mayor de Blasio's ambitious plan to build or preserve 200,000 units of affordable housing in a decade. 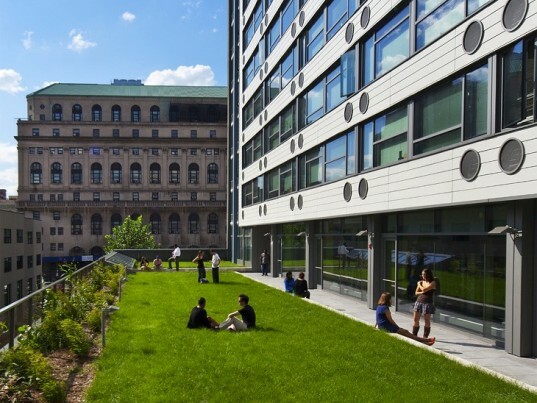 “By encouraging the co-existence of commercial and light industrial activities with mixed-income residential use, we can better leverage our City’s assets to provide opportunities and strengthen communities throughout the five boroughs," said NYCEDC Interim President Kim Vaccari in a statement. Responses to the RFEI are due October 1st. The Philadelphia Housing Authority (PHA) plans to undertake its most ambitious urban renewal project to date. 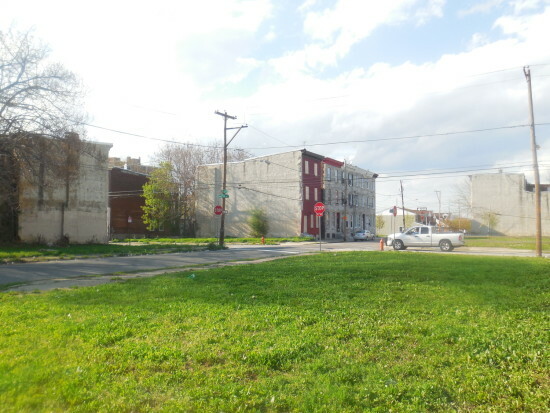 Through eminent domain, the agency would seize about 1,300 properties and entirely remake the Sharswood neighborhood which has been plagued with vacancy, blight, crime, and poverty. 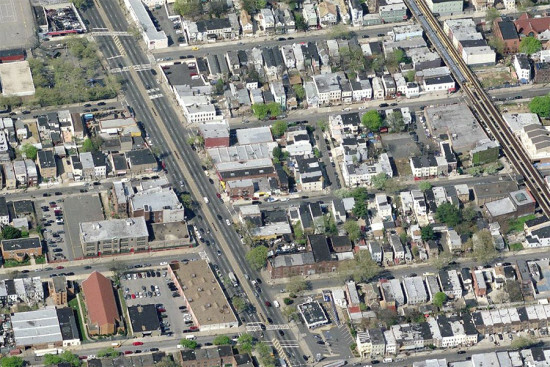 The Philadelphia Inquirer reported that most of these properties are city-owned, tax-delinquent, or empty. This massive acquisition would include demolishing two of the Blumberg Towers, a 1960s-era public housing development in the neighborhood. In its place would come 1,203 new homes and apartments, most of which would be designated as affordable. The development—well, the new neighborhood really—would also incorporate a new headquarters for the PHA, a supermarket, a renovated school, new recreation centers and open spaces, and a mix of independently-owned shops and chain stores. The Philadelphia Daily News reported that city officials will move the 363 families currently living in the Blumberg Towers to other PHA properties. Those living or working inside one of the 73 occupied buildings on the agency's demolition list "will get fair-market value for their properties and relocation assistance." Despite concerns about the scale of the redevelopment, and worries about the PHA's ability to handle such a significant mixed-use project, a City Council rules committee recently gave preliminary approval to the PHA's plan. PHA President and CEO Kelvin Jeremiah says the project will take 10 years to complete, but that the agency hopes to get going on it this year or next. As Downtown Brooklyn's skyline grows taller, denser, and a bit more interesting, construction is whirring along in the BAM Cultural District just across Flatbush Avenue. The latest project to break ground within the area is bringing the borough new cultural institutions, affordable housing, and well, architecture. It's the Brooklyn Cultural District Apartments. The 115,000-square-foot structure was designed by Bernheimer Architecture and Dattner Architects with some landscaping accoutrement by SCAPE. The mixed-use building includes a restaurant along with the Center for Fiction and space for the Mark Morris Dance Group. 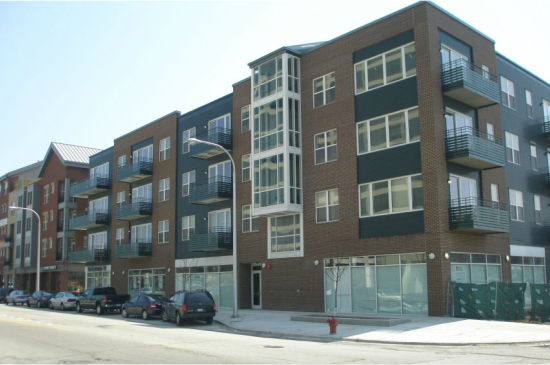 Above the building's cultural podium are 109 apartments, 40 percent of which are below market-rate. "Extensive glazing at the lower floors highlights the cultural components and activates the pedestrian experience," Dattner explained on its website. "In-set balconies and double-height terraces articulate the upper base and tower." 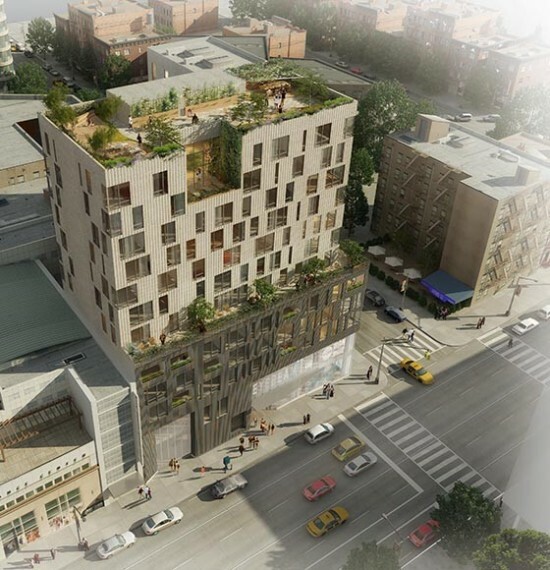 The Brooklyn Cultural District Apartments is intended to flow into the collection of high-design buildings and public spaces that are appearing one after the other on numerous sites around it. The building's restaurant, for instance, flows into Ken Smith's Arts Plaza which itself flows into the slightly cantilevering Theatre For a New Audience by Hugh Hardy of H3 Hardy Collaboration Architecture. Between the new apartment building and the existing theater and plaza is yet another planned building—a 200-room hotel with a jagged facade by Leeser Architecture. There's one more big project to mention on the block: FXFOWLE's 52-story mixed-income residential tower that is quickly ascending into Brooklyn's skyline. On the other side of Fulton Street from the tower is the BRIC Arts Media House, another Leeser project. Adjacent to all of this is the site of Francis Cauffman's very artsy and wavy medical center that is currently under-construction. And across Lafayette Avenue is TEN Arquitectos' 32-story, mixed-use residential tower that is beginning to make its ascent. A residential development in downtown Minneapolis is set to give the city its first woonerf, a road type developed in the Netherlands that integrates vehicle traffic and parking with pedestrians, bicyclists and public amenities. The BKV Architects–designed Mill City Quarter housing breaks ground later this year, starting with a six-story building that will include up to 150 rental housing units priced to be affordable for those making 60 percent of the metropolitan median income or less. Later phases will add more units, say developers Wall Cos. and Lupe Development Partners, including 45 units for those with memory problems and 105 for assisted and independent living. Taking up the block at the northwest corner of 2nd Street and 3rd Avenue, the development hopes to connects the Mill District—home to the popular riverside Mill City Museum, Guthrie Theater, and soon a massive mixed-use development in the shadow of the new Minnesota Vikings stadium—with the rehabbed warehouses and thriving cultural scene of the North Loop neighborhood. Bisecting that block is a former rail corridor leading toward Mississippi River trails and a riverside visitor center that Minneapolis' Park Board has proposed for just downstream of the 3rd Avenue Bridge. Mill City Quarter's developers have agreed to make that side street into a woonerf with 80 diagonal parking spaces flanking colored pavement demarcating reduced-speed vehicle traffic, green space, bike lanes and pedestrian zones. Minneapolis' Park Board approved plans for the “amenity-rich plaza street,” through the $73.8 million development, but expressed concerns over developer and former City Council member Steve Minn's plans to install a gate at the park end of the woonerf, which he said he'd keep closed during park off-hours, 10 p.m. to 6 a.m. By exempting the development from a new parks law that would require them to donate land to public space, the Park Board gave their agreement some teeth—if the developers restrict public access to the land they could be on the hook for $61,400. Last year, at an event inside David Adjaye’s Sugar Hill affordable housing development in Manhattan, AN asked New York City Mayor Bill de Blasio how architecture and design factored into his overall housing plan. The mayor—who doesn’t elevate public design the way Michael Bloomberg did—said he wants to see new affordable housing buildings that are both “beautiful” and “contextually appropriate.” But, he added, design is about more than aesthetics, it is a tool to be wielded to create dynamic, mixed-use properties. “I think the design question really is about, to me, the functionality—meaning, what we can achieve in a site,” said the mayor. Now, roughly eight months later, the Department of City Planning (DCP) has unveiled zoning changes to make it easier and cheaper to develop the type of affordable housing the mayor was talking about—buildings with function and architectural design. And by rewriting the rules, the de Blasio administration thinks it has a better shot at delivering the 120,000 new units of affordable housing it has promised. First, the city addresses burdensome parking requirements for affordable and senior housing developments. Within a so-called “Transit Zone”—areas in Upper Manhattan, the Bronx, Brooklyn, and Queens that have good access to mass transit—the city will eliminate parking requirements for senior housing and low-income or inclusionary housing developments. And, on a “case-by-case” basis within this zone, the city could slash parking minimums for new mixed-income buildings. Outside of the zone, the city says it will “simplify or reduce” parking requirements for affordable housing and senior housing. On the design front, the city hopes that updating “Contextual Zoning” controls from 1987 will give rise to less generic housing.“The tightness of contextual zoning controls constrain housing production and raise costs, and too often results in buildings that are flat and relate poorly to the street,” the DCP said in its report. A lot has changed in the AEC world since the 1980s and the city wants to allow designers and builders to take full advantage of all their new tricks and tools. This could mean more buildings like The Stack (above), a modular building in Inwood that was designed by Gluck+ and assembled in less than a year. 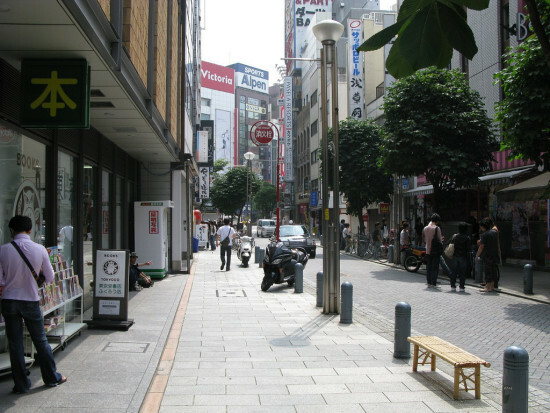 The city is not touching existing floor-to-area (FAR) ratio limits with this proposal, but hopes that by loosening zoning controls and boosting height limits (between 5–15 feet in medium and high density areas), developers can take better advantage of allowed buildable space; current limits tend to force developers to produce boxy, boring buildings. "To fit full FAR," explained the DCP, "ceiling heights are reduced, building facade is flat and upper‐story layouts are awkward.” Boosting height limits would also open up more interesting massing and programmatic options with possible building setbacks and courtyards, and ground-floor retail and community spaces. As for building facades, the DCP only lays out some vague bullet points about how it will "update and clarify regulations to support traditional types of building variation” and “make transparency and design requirements consistent" for ground floor spaces. While this package of proposals has the potential—again, the potential—to create more architecturally interesting buildings, it is ultimately a means to make it easier to build and develop affordable and senior housing. The DCP expects to kick off a public review of its plan this summer. Airbnb, the hugely popular apartment rental site, has managed to amass a broad coalition of detractors in New York including developers, the State Attorney General Eric Schneiderman, the New York City Council, and affordable housing advocates. The main line of attack being levied against Airbnb is that it is making New York City's affordability crisis even worse. Critics claim that building owners and savvy real estate types are kicking out rent-paying tenants and turning their apartments into quasi hotel rooms. This, they say, is further reducing the city's limited housing supply and driving up prices. On the legal side of things, a report from the state's attorney general found that nearly 75 percent of Airbnb listings in New York City broke some sort of law. Airbnb did not dispute these findings largely because the attorney general's office was going off of numbers they provided after being subpoenaed. At the time, though, a spokesperson for Airbnb told the New York Times that they wanted "some sensible rules that stop bad actors and protect regular people who simply want to share the home in which they live.” That is, more or less, the Airbnb defense: Yes, there are people taking advantage of the site, but for the most part we give hard-working folks a way to put money in their pocket. That claim is now being directly challenged by Murray Cox, a former software engineer who lives in Brooklyn’s Bedford-Stuyvesant neighborhood. 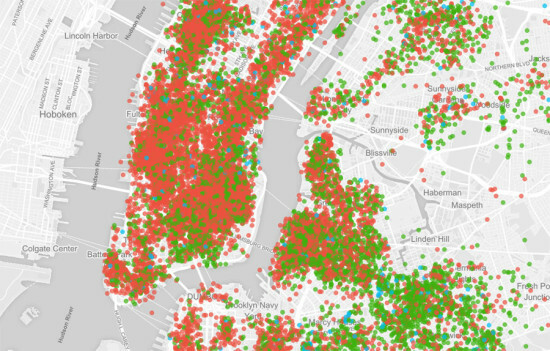 He has launched a website called Inside Airbnb that offers tools for the public to sift through all of Airbnb's publicly available data. This, Cox said, helps expose what are essentially hoteliers renting out many apartments at once. Two hosts, for example, were found to be listing 28 units each. Inside Airbnb also found that nearly 60 percent of New York City listings are legally questionable because they cover entire homes. (In New York, it is illegal to rent out an apartment for less than 30 days if a permanent resident is not present). As mentioned earlier, Airbnb hopes to change laws like these. In the meantime, Airbnb makes the case that it's helping the little guy, writing on its blog that 87 percent of users rent out the home they live in. Cox isn't buying it. "Once you look at the data, you can pretty easily see that that's not the case," he told USA Today. "A high proportion of the listings are highly available." As to be expected, Airbnb is pretty critical of Cox's site. In a statement to Verge, Airbnb said: "We never comment on public scrapes of our information, because, like here, these scrapes use inaccurate information to make misleading assumptions about our community. Thousands of regular New Yorkers are using Airbnb everyday to help make ends meet. That's why it is so important that we fix local laws to allow people to share the home in which they live." 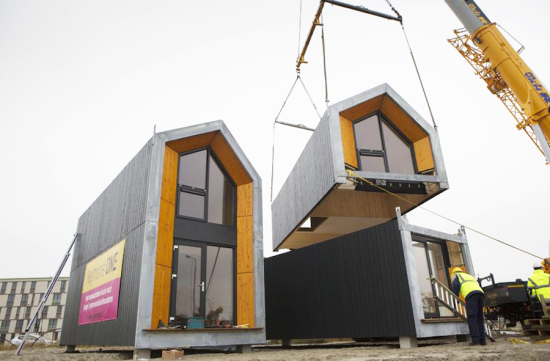 Could New York learn from these temporary affordable prefab homes in the Netherlands? Affordable housing has been a critical part of New York City Mayor Bill de Blasio’s agenda since taking office, promising to create or preserve 200,000 affordable units over the next decade. At a press conference last week, the mayor announced that his administration has made headway toward achieving this ambitious goal, financing over 17,300 affordable homes in the last year (whether his predecessor, Mayor Michael Bloomberg, should have received some credit for this accomplishment has spurred debate). 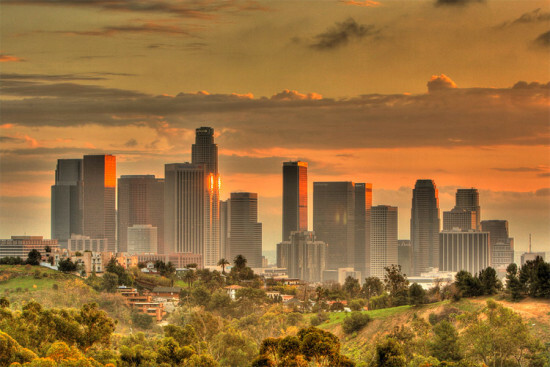 But even with this good news, the demand for affordable housing continues to grow. To help fix this shortage, the administration might want to take a cue from Dutch developer, Heijmans ONE, which has come up with its own win-win idea for alleviating the housing crunch in the Netherlands: putting vacant land to good use with temporary, portable housing. Heijmans ONE designed a one-bedroom prefab house that can be easily assembled in just one day. The house, which rents for 700 euros or $900, kills two birds with one stone: provides an affordable dwelling and activates empty land while construction is stalled on a project. These sleek, pentagonal-shaped homes are designed to have a small carbon footprint, using sustainable wood and solar panels. Once constructed, the house can be connected to the city’s water and sewage, but also designed to operate off the grid. New York City, with its paucity of affordable housing and glut of vacant land, could benefit from this model. Mayor de Blasio and the Department of Housing Preservation & Development have already started rolling out a plan to develop over a 1,000 city-owned properties. In the meantime, why not bring some temporary, affordable housing to sites waiting for long-term development? 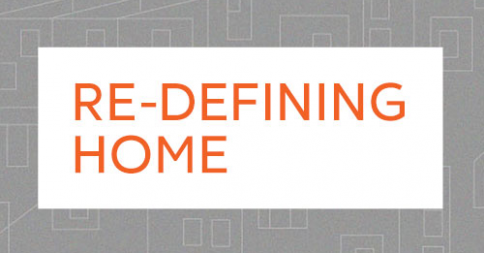 Home Matters, a national movement dedicated to raising awareness about the need for affordable housing, has launched a competition called "Re-defining Home: A Design Challenge." As the name suggests, the competition (partnered with AIA chapters around the country, and funded in part by the Wells Fargo Housing Foundation) seeks to re-define the home of the future, with a focus on solutions for affordability and a new conception of home, beyond “four walls.” Architects and designers are being asked to improve connections between housing and surrounding communities, considering how housing impacts health, education, individual success, public safety, and economic growth. Calling itself the first competition to focus on affordable housing and its social implications on a national scale, Re-defining Home was structured with input from experts from affordable housing, architecture, cognitive science, medicine, and environmentalism. 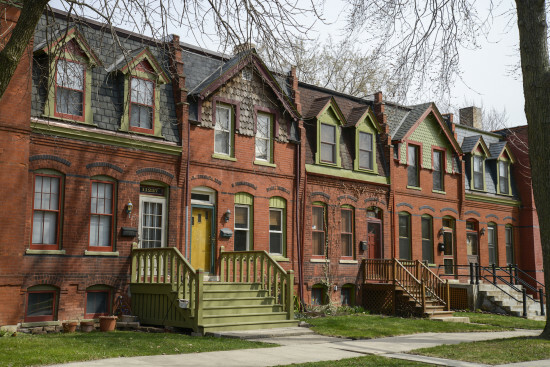 The Home Matters organization was launched in 2013 in an effort to “redefine the American Dream,” drawing attention to the nation’s housing crisis and the importance of home as part of a broader social fabric. Awards totaling $18,000 will be given to three juried submissions. A multidisciplinary jury will be announced soon. The first place winner will be presented at a public exhibition—details forthcoming. Registration opened on December 2 and closes on May 1.